(Hot) Style Find! A 'thong' bootie? 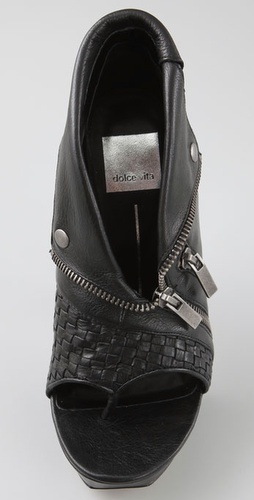 Dolce Vita deserves a kiss for this one. Love the zippers, so check. Funky...? Check. Trendy...? Check. But...! Don’t forget the pedicure ladies, because your toes will be exposed in these thongs. *ahem* Jacked up feet and chipped toenail polish will destroy the look of the bootie — and that’s just wrong.